Another period of little sketching, but these are actually from a couple of weeks ago, though I never coloured them. 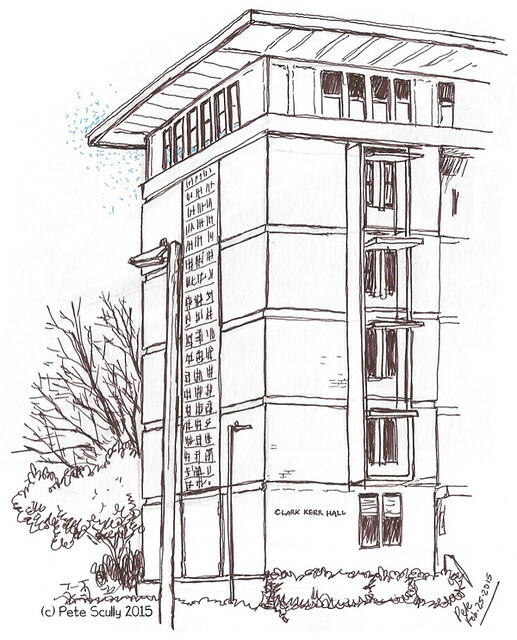 The scene above, looking at Asmundsen Hall at UC Davis, now has a lot more bright pink blossom near it, which wasn’t there when I sketched it. It’s been warm and sunny lately, which is nice. Except we need rain because California is running out of water. A year’s worth left, say NASA. Ah. Yes, let’s have some big wet storms please. Below, Kerr Hall. I really wanted to colour this, but never did. Loving the B&W with a little hint of colour, leaves space for the imagination. Lovely work! I love these with just the barest hint of red. Very beautiful in their starkness. This is very, very good! 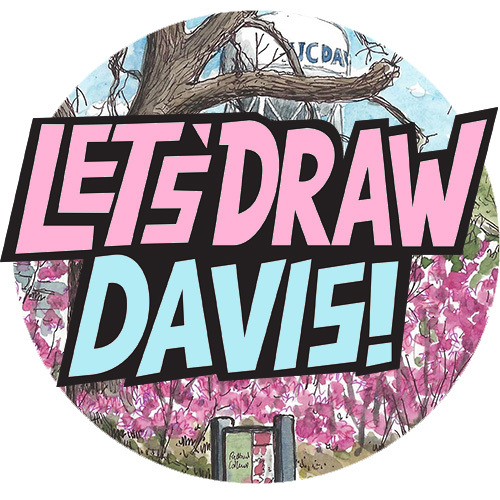 You are in Davis? I spent many years there. You should have lots to sketch. By the way, don’t stop. Even if you have weeks where you don’t sketch, pick it up whenever you can. You have incredible talent. 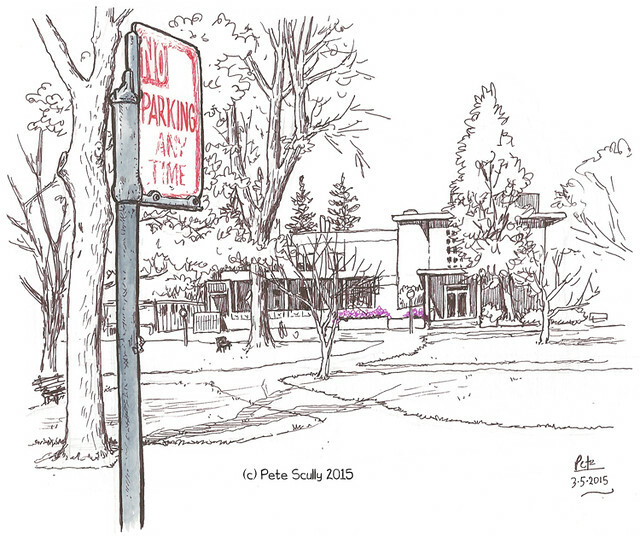 I love these sketches – Pete Scully is the artist.